The Best Alternative Medicine is the only book available today that both evaluates the major areas of alternative medicine and addresses how they can be used to treat specific conditions. Dr. Kenneth R. Pelletier explains such popular therapies as mind/body medicine, herbal and homeopathic remedies, spiritual healing, and traditional Chinese systems, discussing their effectiveness, the ailments each is most appropriate for, and how they can help prevent illness. In the second part of the book, which is organized alphabetically, he draws on the latest National Institute of Health (NIH)-sponsored research to present clear recommendations for the prevention and treatment of health concerns ranging from acne to menopause to ulcers. Combining valuable guidance about alternative treatments with definitive health advice, The Best Alternative Medicine will be the standard reference for the increasing number of people integrating alternative medicine into their personal and organizational heath-care programs. Verma Noel Jones Chicago Tribune The Best Alternative Medicine...separates myth from reality. 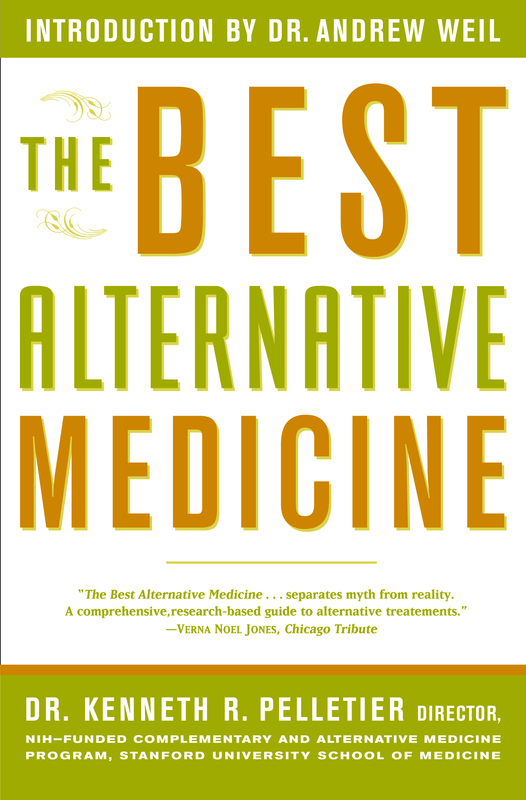 A comprehensive, research-based guide to alternative treatments. Tricia O'Brien Country Living An invaluable resource. Publishers Weekly This forward-looking book will be useful to those seeking to address all aspects of their well-being. Marilyn Linton The Toronto Sun This guidebook comes at the right time given both the confusion and conflicting studies surrounding alternative therapies....[Pelletier] helps us sort out fact from fiction and fantasy.